Exhibition, Nominated by Alain Fleischer, in the Discovery Awards Exhibition. Week meeting: from 2nd till 7th July. 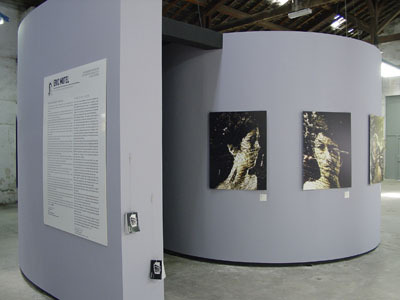 Exhibition from 3rd july until 16th September 2007. Place: Atelier de maintenance, Arles, France. 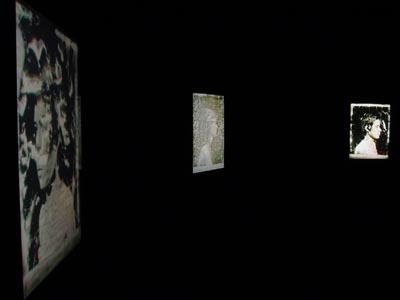 -Video installation in 3D relief "In Cryo Video". 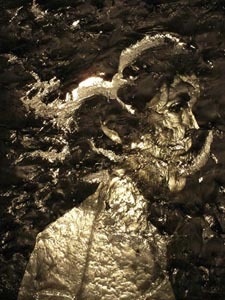 -New photographs, 13 large scale color prints, variation from Video Installation. -Release of Flipbook "Timelaps", Freak Book 1#0. 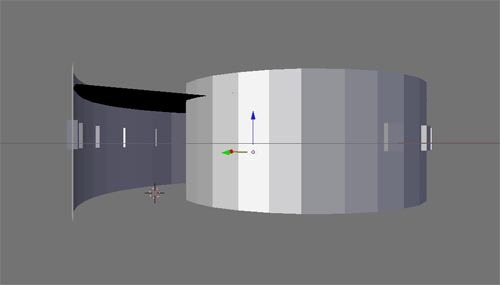 3D view design of the planned installation space. ©EricMutel. 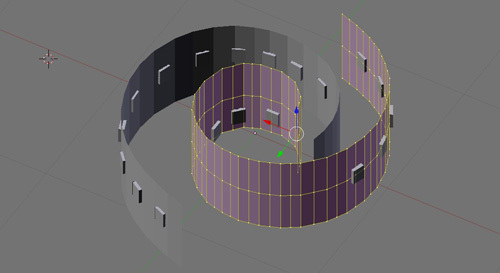 3D view design of other installation/space version with 2 spirals. ©EricMutel. 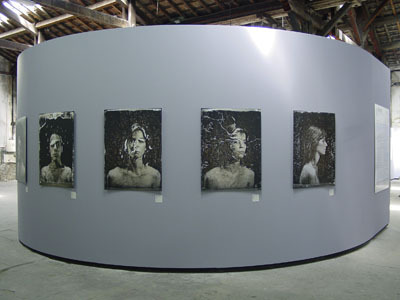 -Video Installation in 3D relief " In Cryo Video", within the spiral space design. Links to video sample of "In Cryo Video"
More info on "In Cryo Video" here. 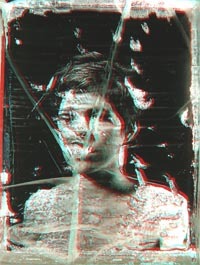 extract 3D image from video installation. Viewed with 3D glasses. view of a photographs print. Geology#0 - Digital Inkjet print - 75cm x 100cm. You can also refer to this page. 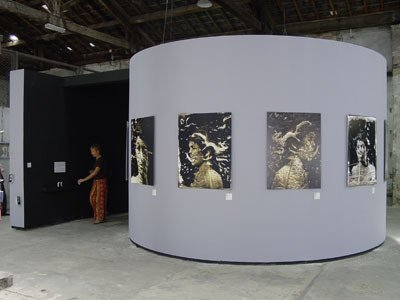 view of Flipbook Timelaps, Released in Arles, during the Festival. First edition distributed by Eric Mutel. Video Demo of Flipbook , 00'47" - 1,2Mb. Release of Flipbook "Timelaps", Freak Book 1#0, edition#0. 2007. Realised, designed, photos, layout, prepress by Eric Mutel. Pinted on Eurobulk 130g paper, by Författares Bokmaskinen, Stockholm, Sweden. Realised for the Discovery Awards Exhibition. Photo Festival Les Rencontres d'Arles 2007, France. 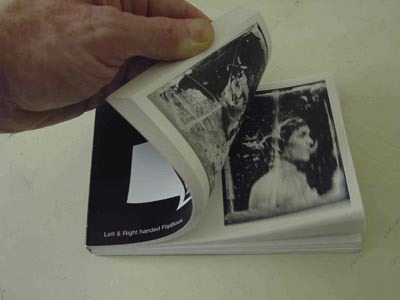 Left and Right Handed flipbook. View of Flipbook while flipping.